I’m clapping hard for Simon Pegg. He’s the perfect Scotty. 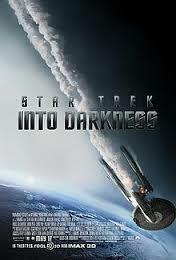 I was very pleased to witness the importance of Scotty’s role in Into Darkness. Simon Pegg was the candle in the dark room. That’s why I’m enthusiastic about this reboot of the classic. It is why it is better than Star Wars I, II,III, and VI. The key to the film is the care given to the supporting cast. It takes time to care for characters. The special effects alone can’t carry a film. A solid script coaxes out relationships, and that’s what makes the franchise believable and loveable. How hard is it to please science fiction fans? 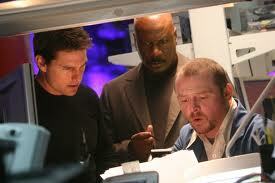 It’s mission impossible. J. J. Abrams delivers a satisfying show while walking a tightrope across the choppy waters of cynics through gale force winds of futuristic speculators. 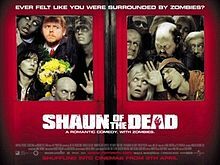 One of my top-five dark comedies is Shaun of the Dead. The best zombie movie out there! Simon Pegg is golden. As the perfect side-kick, he plays the real guy with average looks next to the gorgeous, Alpha Dog, perfectly. He’s “Doug” from Pixar’s UP. Scotty is loyal, silly, charming, and saves the day. 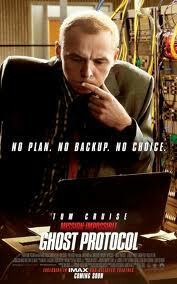 He’s the guy who reacts exactly as you would if you were assigned to work for Ethan Hunt or James Tiberius Kirk. Only he’s smarter. Don’t you wish he were your roommate or brother? I’m sure director J.J. Abrams understood this from MI3, 4. He welcomed Pegg as the genius most-likely-to-sleep-with-his-machines on board the U.S.S. Enterprise. You thought it was Spock? 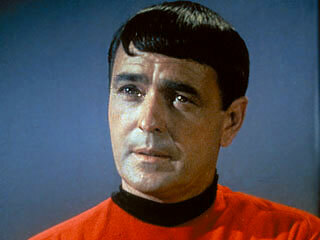 After all, if it weren’t for Scotty, the ship, crew, and the plot ends. Simon Pegg manages to give the iconic figure (RIP, James Doohan) his own personal stamp and it is wonderful to see. I only wish they’d kick that ridiculous little thing that resembles an Ewok off into another galaxy…. This is a movie that I’ve intended to check out for a while now. It’s cast looks fantastic and I’m really anxious for Brody to get some better rolls. I’ll be giving it a watch soon. Good stuff bro! Simon Pegg is indeed awesome as Scotty, though his Scottish accent is quite hilarious! Glad to see his role expanded more in this sequel. Was fortunate to catch Simon on Jimmy Kimmel.His energy is infectious. Was wonderful to hear his story of channeling his father in law as he portrays Mr Scott. As a trek fan, I think Sean’s portrayal is the most “spot on” as am homage to the original cast. I couldn’t agree with you more! I like how he’s taken the essense of Scotty and put his own mark on the delivery. Fast, funny, realistic, and affable,he was one of the major highlights of the film as well as the necessary comedic lift for all the darkness. Are you looking forward to ‘The World’s End’ like I am? I should pay more attention to him. 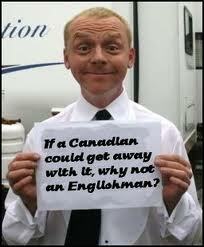 Agree he Pegg is a good choice as Scotty. However, I was not that enthralled with the film as a whole. I really wish they would do something new and introduce some new plot lines, you know explore new worlds…. Main reason I stopped by was that I saw that you had recently joined The Lamb and I wanted to say welcome aboard and hope to see you on the forums. When you get a chance swing by our humble film blog and say hi. Hi Griff! Thanks for the welcome! I had been nagging at them to open the door, not so much to qualify for an award but for voting for my fav movie sites. Now that I’m in the cool club, I will participate. New plot lines….good luck with that wish! There are so few out there. You must be disappointed with the upcoming Superman then. And as far as Star Wars goes, you were five when IV came out? Ha! I’m your big sis! I was 12 and watched it 17 times that summer. To tell you the truth I actually like this darker look of the trailers. Superman usually was not my cup of tea as he was usually portrayed as too much of a goody two shoes. Awww, c’mon. The little rock skin guy just wants to follow his friend through space. I tear up every time he’s sad. Great little Pegg tribute! There’s something ridiculous about the fact that the Star Trek cast had to wear capes around the set to hide their costumes. Especially for the sequel. Shouldn’t everyone know who they are at this point? Oh, but the mystery builds suspense. They should all wear just the capes, and whenever someone tries to sneak in a camera, they get flashed. That’ll teach them.